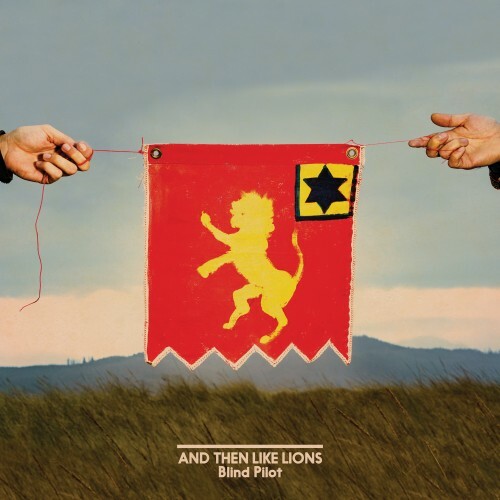 Blind Pilot’s new album And Then Like Lions is out now. Get it at the official store, iTunes, or Amazon. Blind Pilot’s EPK is available HERE. For all press inquiries, please contact talia@atorecords.com. The past isn’t finished with us yet. Love can be like that, too. A couple of years ago I found love in different forms leaving my life at once. In a single month I lost my closest group of friends, my 13 year relationship ended, and my dad was diagnosed with cancer. I had just stopped touring to write the next Blind Pilot album, but instead I was watching each of my plans unthread as a new season pulled forward relentlessly. Avoiding suffering, is avoiding real happiness too. My reason to tell this story isn’t because it broke me and pinned me breathless. There was suffering, but those two years, as I moved to my hometown to help my parents through my dad’s sickness and eventually his death, also brought me true closeness, a deeper will to care and hope, and many moments of beauty I can barely describe. This album came from love for my family, my town, my friends, my community. We don’t have to be so afraid of loss. We can speak and share its name, knowing we are together in it. If these songs are invitations to talk about loss and death, the invitation is to talk closely of the courage we find when we face loss honestly, cracked open and unsure of what we will become. ‘And Then Like Lions’ opens with “Umpqua Rushing,” the first single from the album and the track that most directly deals with the end of his relationship. It’s inspired by memories of visiting the Umpqua River with his then girlfriend. The song connects images of a forest fire to the destruction and new beginning found in love’s wake. “Umpqua Rushing” has a strong, mid-tempo flow built on major chords and rich instrumentation that matches the river the song’s named for. Nebeker’s voice soars on strings to an uplifting ending, and it’s as vulnerable and open as he’s ever been. Packed Powder is an upbeat, solidly-driven song filled with elevated textures of guitar hooks and trumpets. It comes from an idea Nebeker had as a teenager, when he and his friends found they could repack fireworks to different outcomes: “We’re all made of the same stuff, but who knows how we’re packed and what we’ll show as we burn across the black sky of our own time?” The song speaks lightheartedly of ironic outcomes when trying to better a life through different career paths, and then sings a chorus that surrenders and desires life to reveal what we are made of. ‘And Then Like Lions’ ends triumphantly on “Like Lions,” a song inspired by various stories of courage Nebeker has witnessed in his recent years, including watching his father fight for life and, before the end, find strength enough to give himself and be at peace with his own mortality. Blind Pilot has performed on Ellen and The Late Show with David Letterman, at the Newport Folk Festival, Bonnaroo, and Lollapalooza. The group has shared stages with The Shins, Local Natives, Andrew Bird, and more. The project began in 2007 when Israel and co-founding member Ryan Dobrowski went on a West Coast tour via bicycle. Blind Pilot’s six members recorded for this new album and will tour through 2016.